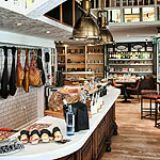 Iberica Marylebone is a modern and stylish venue which serves up 50 pincho and tapas dishes. The bar is well stocked with a sublime selection of Spanish wines, beers, liqueurs and coffees and is the perfect place to meet up with friends. "Ibérica Restaurant in Marylebone offers the best in Spanish cuisine with seasonal gastronomic tapas and a selection of artisan produce and wines, some of which are unique to the British market, available from the Ibérica Delicatessen. With its floor to ceiling windows, Ibérica Marylebone is flooded with natural light throughout the day. The main ground floor features a 15-metre statement bar where guests can enjoy tapas and over a 100 wines, half of them exclusive to Ibérica and imported directly from boutique wineries as well as signature cocktails especially design to complement the food. Set in a relaxed yet dynamic atmosphere, the menu has been created to offer guests a culinary contrast between both regional variations and the modern adaptations of traditional Spanish cuisine with a focus on Asturian specialities." 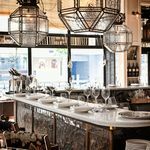 What did you think of Iberica Marylebone? The staff is lovely here and the food is very good. I've never had a bad meal. It can get quite pricey to put together a whole meal of little plates, but the tapas concept works best with a group. Traditional Spanish dining lies at the heart of this popular eatery. But Iberica’s not afraid to try new things too. 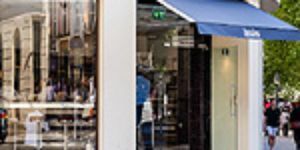 Positioned towards the station end of Great Portland Street, Iberica inhabits an imposing art deco building which takes in the corner of Devonshire Street, providing a perfect setting for its ground floor L-shaped bar. Opposite, broad wooden side tables nestle neatly along the floor-to-ceiling restaurant windows, leaving ample space for waiting staff to float past bearing tapas from seemingly all directions. The venue is sufficiently spacious to accommodate a shop area (where you can also eat) selling recipe books and delicious Spanishy things in colourful tins and glass jars. There’s even space for a glass-enclosed cheese room. Upstairs, the mezzanine level makes for a slightly quieter, more intimate dining experience. Whilst a huge orchid display at the centre of the bar might not remind you of Spain, the hanging cured hams certainly will. 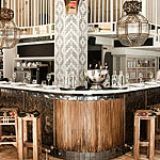 Thankfully, Iberica’s decor doesn’t constantly seek to emphasise its authentic Spanishness but has instead elegantly adapted to its modern London context. Iberica is full even on a Monday night, with a sizable Spanish clientele and local office workers grabbing a bite after dark, making for a vibrant start to the week. 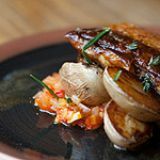 The busy, friendly staff all hail from Spain and enthusiastically talk you through the menu, offering feedback on their favourite dishes while paying careful consideration of your palate. You need their help navigating the substantial menu and they give it to you in spades. Even the two Michelin-starred executive chef’s name (Nacho Manzano) is food-related – Manzano meaning ‘apple tree’ in Spanish and nacho – a Mexican cheese-topped tortilla. Nacho’s family has a restaurant in the Asturian mountains where he is famed for his speciality fish dishes. 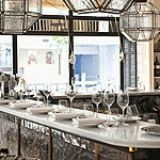 Together with his protege, Cesar Garcia, the duo have created a menu of 40 odd tapas dishes from a variety of regions as well as some more contemporary adaptations. Cheese lovers will enjoy the Spanish tradition of beginning rather than ending a meal with a cheese board. The Spanish cheese selection with quince (£10.30) includes identical triangular slices of sheep's, goat's and cow's cheese that vary significantly more in taste than appearance. The sweetness of the quince perfectly offsets the wonderful saltiness of the cheeses, but the additional dollops of quince mouse seem somewhat superfluous to the affair. The succulent meat trio de Ibericos (£22.20) from the centre of Spain is worth every penny, while the cheese croquettes (£5.65/ £9.20) retain their outer crispness and fluffy insides even at room temperature. You have to get used to dishes not coming out piping hot – it’s not the Spanish way. The Potatoes "a la importancia" with clams (£6.90) look almost glued together by an unidentifiable coagulated glutinous substance, but slip down nicely nonetheless. The swirl of cheese ice cream at the centre of the gazpacho (£6.20) is an ambitious, perhaps overly sweet twist on the traditionally savory recipe. They’ve slightly overdosed on the apple content, disturbing the subtle glory of the beetroot. The asparagus on toast with Manchego, onion confit and truffle oil (£ 4.90) is cooked to perfection – chargrilled on the outside and buttery on the inside. Add the contrast of salty cheese and sweet caramelised onion to the mix and the resulting sensation is of having every taste bud individually stroked. Iberica strives at striking a balance between traditional winning recipes and something bolder and more daring, such as the three tomato, olive oil and vanilla salad. It’s a noble attempt at something new but the reality is a disorientating dish of essentially clashing tastes. It would be a pity to visit Iberica and fail to order one of its most popular dishes: fried squid and aioli (garlic mayonnaise) (£8.20). Eating squid can require you to chew but these nuggets could almost slip down whole, they’re that tender. You’d be hard-pressed to find a superior version elsewhere in the city, if not outside Spain. Deserts include lots more cheese as well as a creamy Guanaja chocolate (a type of mouse cake - £4.60) with a surprisingly high cocoa content of 70 per cent, sweetened up and enlivened by an olive oil and apricot sorbet. Naturally, the extensive drinks menu takes in wines, sherries and cavas, exclusively from Spain, starting at around £20 and reaching as high as £520 for a Priorat. The Londoño Crianza 2008 (£24.90) makes for a good, easy-drinking compromise, while the rich and nutty Pastrana sherry (£8.20/ £50) sits on the more savoury end of the sherry scale. Also on the list are half a dozen varieties of mineral-rich bottled Spanish water, ranging from still to slightly effervescent and full-on fizz. 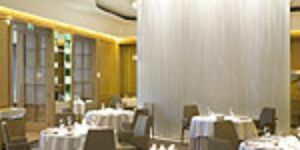 Friendly and unpretentious, Iberica offers an easy-going dining experience, albeit with a sense of luxury and occasion. With the food as the focus, everything else just seems to fall into place.